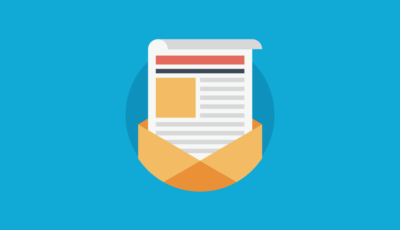 Are you looking to add a forum to your WordPress site? In this post, we round up five of the best WordPress forum plugins and compare them in detail, complete with real, hands-on screenshots from our test site. As the creators of WordPress products that help businesses offer better support, we know that a support forum is a common way to offer support, especially among the WordPress community. But while we will pepper in some support-specific thoughts, you can 100% use all of these plugins to create other types of forums, as well. That is, even if you’re not looking to create a support forum, this post will still help you pick the right forum plugin for your needs. 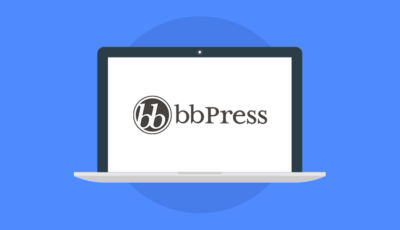 Stewarded by Automattic, bbPress has been around for what seems like forever. The plugin’s origins go all the way back to 2004, when Matt Mullenweg started coding it as a solution for the WordPress support forums. Though it’s undergone a lot of changes since then, bbPress still powers the support forums at WordPress.org, which is good evidence that it won’t buckle under scale. The core bbPress plugin is 100% free. And its popularity and history have spawned a huge collection of third-party extensions and themes. We even have a dedicated bbPress theme to get the most out of your forum. Easy setup – you can get started with your forum very quickly. And like I said, one of the biggest advantages of bbPress is its massive third-party extension library. While these aren’t official features, there are over 868 plugins tagged with “bbpress” at WordPress.org, so you’re by no means limited to the fairly lightweight feature list. That’s it for settings! Depending on your view of things, that could be a good or a bad thing. On the good side, it means that bbPress is super simple to get up and running with. On the bad side, that means people who like digging into lots of settings and configuring everything might feel a little restricted. After bbPress, wpForo and Asgaros Forum (the next plugin) are the next two most popular forum plugins at WordPress.org. wpForo still gets regular updates from the developer and has maintained a 4.8-star rating on over 119 votes at WordPress.org. While the core plugin is free, the developer also sells premium add-ons for extra functionality. Lots of settings to control SEO, functionality, etc. When you install and activate wpForo, it automatically sets you up with a working forum right away, which is a nice bit of onboarding. Personally, I’d say this already looks a good bit more modern than bbPress, even without having touch a single setting. As I told you above, Asgaros Forum is tied with wpForo for the second most popular forum plugin at WordPress.org. Like wpForo, it’s also managed to maintain an impressive rating – 4.9-stars on over 88 votes. Asgaros Forum is 100% free, though the developer does have a donation button. Deeper features like activity feed, mentions, reactions, etc. When you install and activate Asgaros Forum, it sets you up with an already-existing forum that looks fairly similar to wpForo. To display your forum, you just need to add the [forum] shortcode to the page you want to use. With just 2,000 active installs, Discussion Board by Catapult Themes isn’t quite as popular of an option. But it’s maintained a 4.9-star rating on its 22 reviews and its out-of-the-box designs offer a nice minimalist approach that looks a bit more modern than bbPress. It’s important to note that, unlike the other plugins, Discussion Board only sets you up with a single forum in the free version. Users can add unlimited topics to this forum – but there’s no way to segment those topics into different forums unless you purchase the Pro version, which starts at $29. You can see it’s pretty minimalist and pulls heavily from your theme’s styles. The Design tab lets you configure various style choices. And the User tab is helpful because it lets you restrict viewing/posting to specific user roles. The above feature gets even stronger in the Pro version, where you can restrict access to different forums. For example, you could create one forum for paying customers, and another for free users. Finally, you can also switch up the styles of your forum using the WordPress Customizer, which is convenient. DW Question & Answer helps you create a forum more in line with something like Quora or Stack Overflow. That is, your visitors will be able to vote topics and replies up or down and actually affect the order. While some of the other forum plugins offer basic voting functionality, DW Question & Answer definitely has much more of a focus on letting users vote for the best answer to their question, which makes it a stellar option to create a support forum. The core version is free, but there’s also a Pro version at CodeCanyon. When you install and activate DW Question & Answer, it automatically sets you up with all the important core pages and shortcodes. You can also manage questions and answers using the regular WordPress post management interface on the backend. Like Discussion Board, this makes it easy to restrict the plugin to only paying customers if you’re using it for a support forum. Which WordPress Forum Plugin Should You Choose? Trying to decide which WordPress forum plugin is right for your site? Do I need to control who can post/read topics? Or will I allow public registration? How many forums do I need? Am I willing to use some custom CSS to improve the look of my forum? For the most full-featured out-of-the-box approach for a generic forum, wpForo probably has the most options and the best looks, with Asgaros Forum not too far behind. bbPress is, of course, always going to be a great option because of its popularity and extensibility – it just might require a little bit more upfront work to get the exact functionality you need because of its lightweight approach. If you specifically need to create a support forum for your customers, Discussion Board and DW Question & Answer are probably your best bets because they offer built-in access restrictions. Of the two, Discussion Board definitely has a more lightweight approach, while DW Question & Answer incorporates the Stack Overflow-style question and voting format.